It's really felt like Spring this week; five sand martins were bickering above the river today, the resident birds were more obvious in song and the weather (despite the occasional hail-storm) has had a clemency about it. As the season develops, the colours progress through a spectrum. 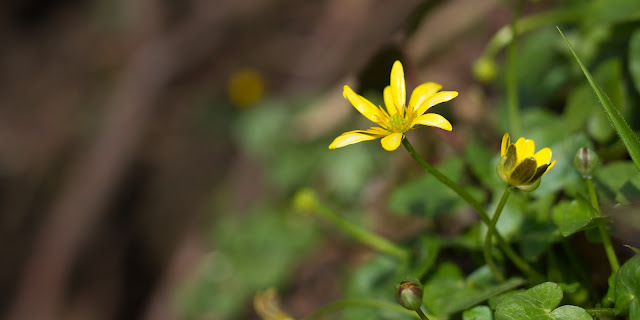 Green has been everywhere for weeks now and the strong yellows have begun to punctuate it in the woodland. 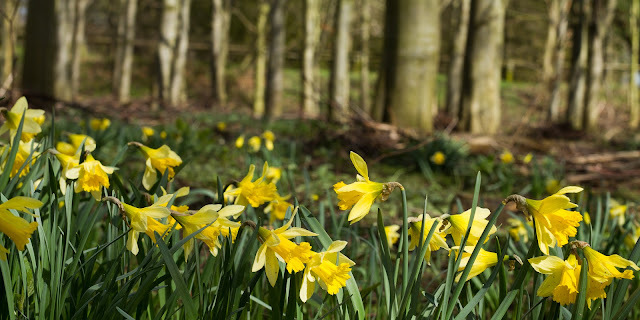 Wild daffodils flower later than their larger and tougher cultivated cousins and the woodland floor was awash today with their sulphuric trumpets. Joining them were the army of celandines, reclaiming the ground that optimistic scouts have dotted for the last month. 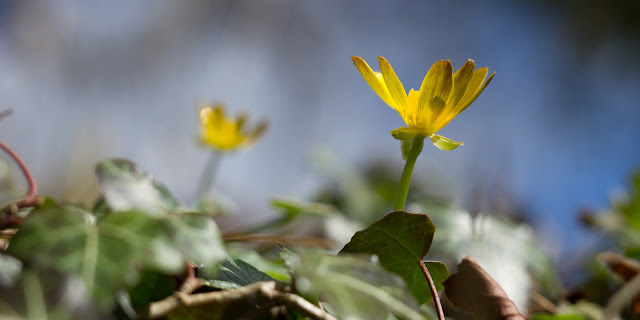 Amid the yellows are clues of what's to come next, with the leaves of bluebells pushing through the leafy carpet and the first spikes of ramsons daring to shoot in the cold early Spring sunshine. 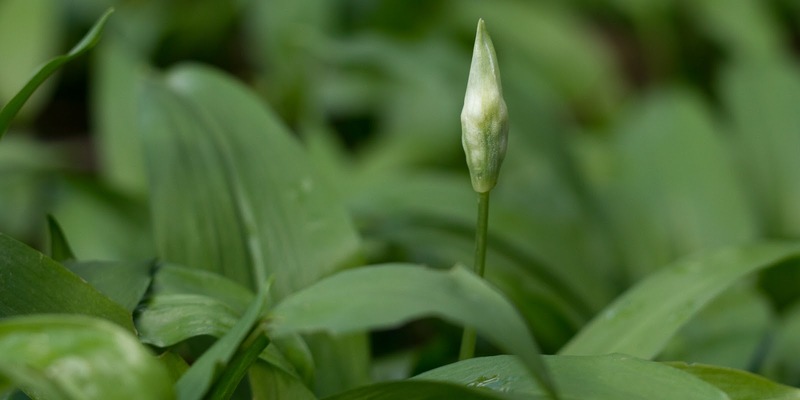 Soon feet will hesitate to prevent squashing the white blooms and the nostrils will be full of the scent of garlic. 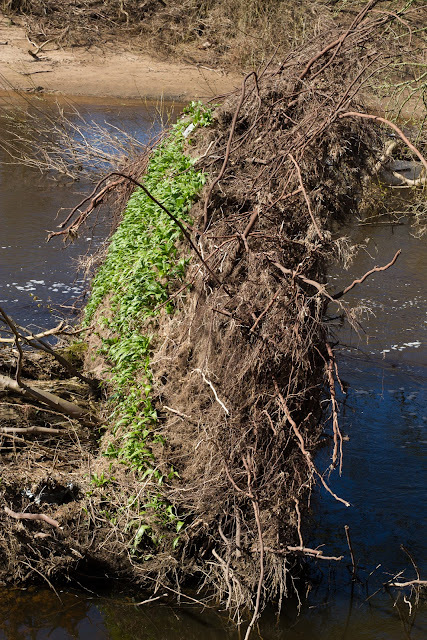 The floods and wind have washed much of the woodland into the river and created some interesting scenes. I love this root disc, all tangle and wren's nest on one side, and now island dwelling wild garlic on the other. 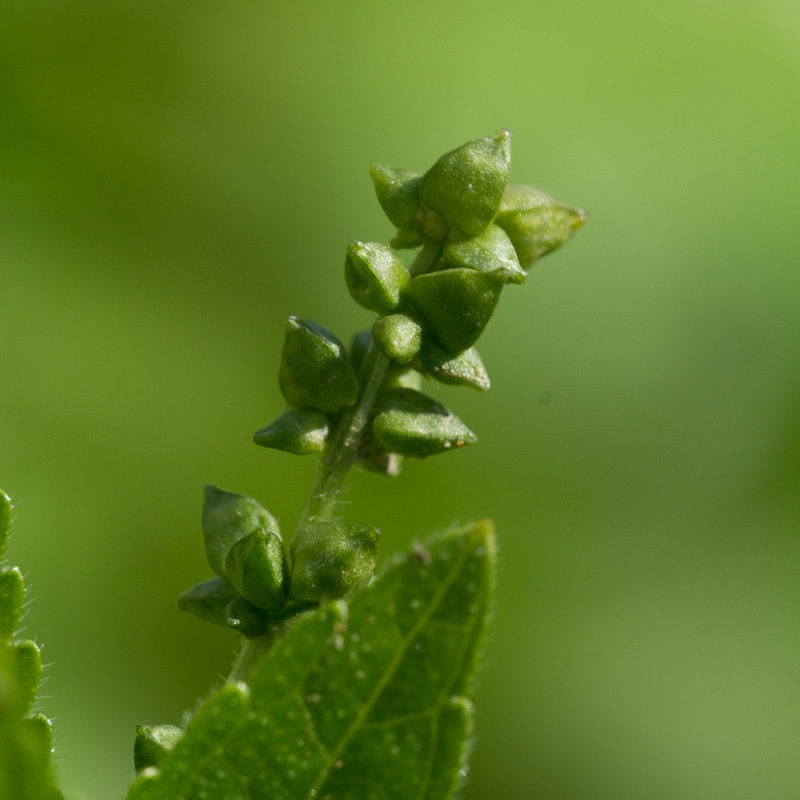 Indeed, lying to photograph the trapezoidal buds of dog mercury, the crushed leaves yield their familiar smell. 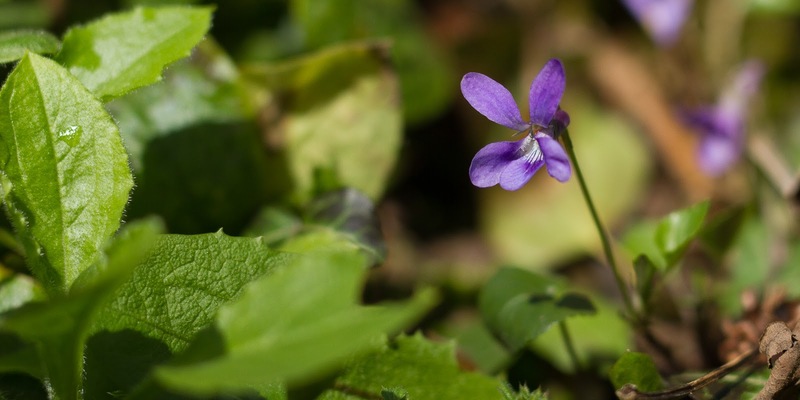 After the white comes purple, and the early sweet-violets provide a humble prelude to the symphony of bluebells that will follow.